Protectivity has analysed the stress levels of residents across the UK as well as the main causes of stress, as well as the most stressed age ranges, careers, and the all-important activities and remedies to help you feel as zen as possible. 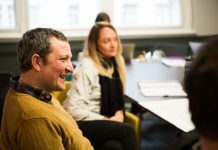 In recent years, mental health has been talked about more than ever before, but it seems as a nation we’re experiencing stress in high volumes. There are many possible causes of stress, whether it’s your work life, family, social media, children, personal appearance or health that’s affecting you, you’re not alone. You can see the full research findings here. 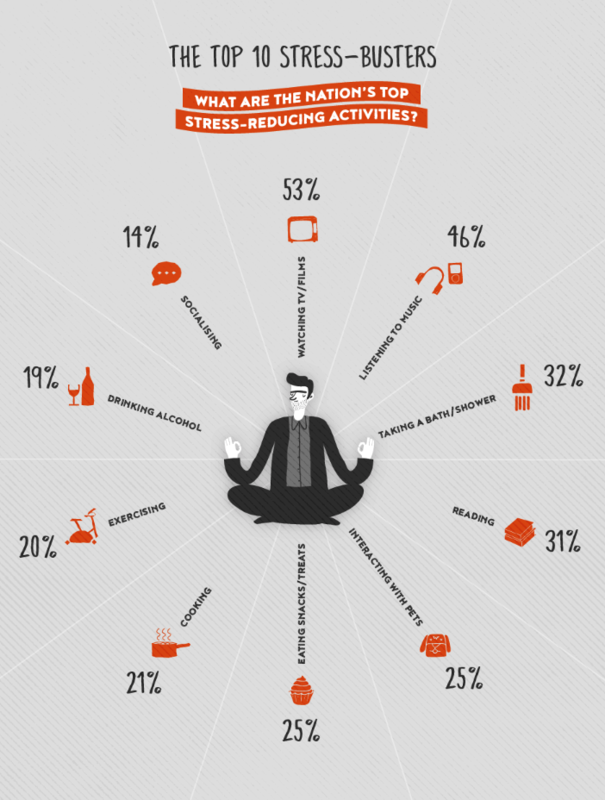 So, at what age do leading causes of stress peak? It may come as no surprise that personal appearance and social media came up as the lead cause of stress within 16-24-year-olds. 35-44 -year olds are the age group that experience the most stress overall. The lead causes being work, children and family. A huge 50% of this age group cite work as their main cause of stress. For the 55+ age group, the main stress factor, for 43% of this age bracket, is health. Family stresses come in second. A positive find for this age group is that stress levels associated with personal appearance dwindle, with only 8% of people citing it as an issue. 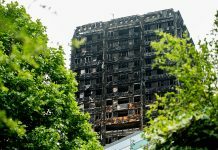 Protectivity also analysed results from people livin g in the UK based on their location. 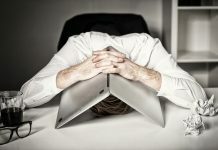 The findings suggest that people living in Cardiff are the most stressed, with 55% of residents claiming they are extremely stressed on a daily basis. Edinburgh follows in second place with 53% and Manchester with 52%. Surprisingly, London isn’t as stressed as you might imagine, despite its hustle and bustle. 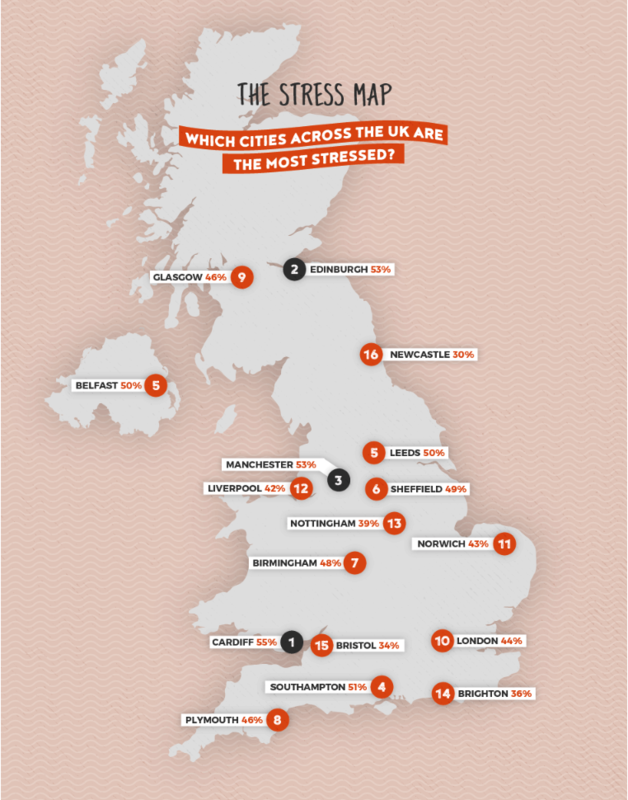 London came in 10th place, with second city Birmingham and creative-hub Leeds ranking higher on the stress scale. Newcastle is the least stressed city in the UK with 70% claiming they are only a little stressed or not at all, followed by Bristol with 66%. 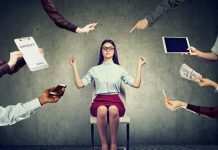 With work coming out as a leading cause of stress for people in the UK, Protectivity analysed which professions claimed to be the most stressed. People working in HR came out as clear leaders on the stress meter with 78% of people working in HR experiencing stress on a daily basis. 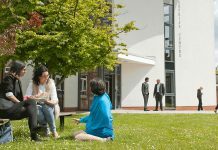 The legal sector came 2nd with 63% and Retail, Catering & Leisure came out as the third most stressful career choice according to the survey. Stress can affect many behaviours, one of which is eating. Eating habits vary from person to person, with some using food as a form of comfort, and others losing their appetite and struggling to eat at all. According to the research, women are more stressed than men as a whole, with 19% of women stating they are very stressed on a daily basis whilst only 12% of men stated the same. Protectivity found that 58% of women eat more when stressed, compared to 48% of men. So what are we doing to help? 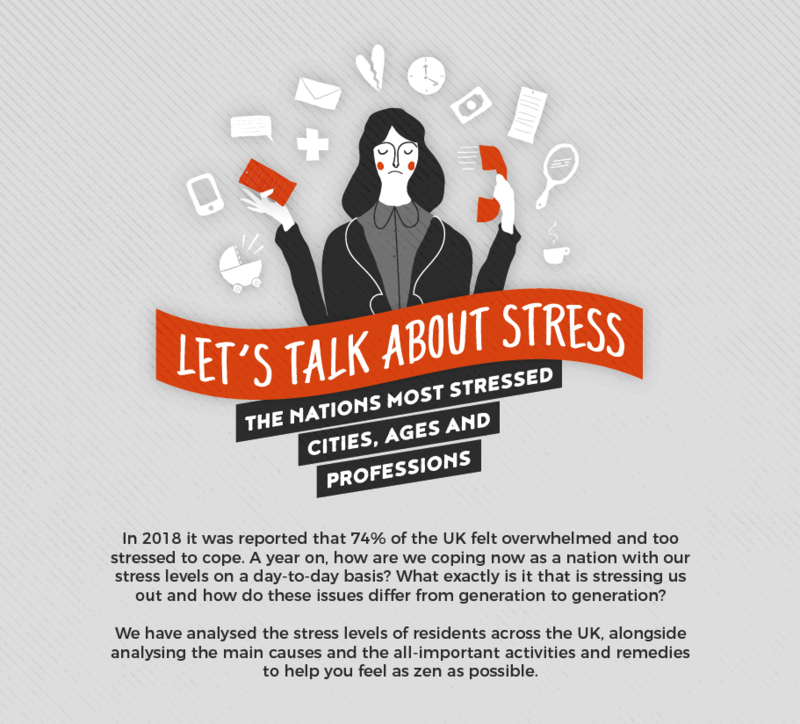 With all of this stress in the air, how are people in the UK taking care of themselves and what are we doing to keep our stress levels in check? Studies have shown that taking a hot bath can relieve stress, as our skin releases endorphins as a result of soaking in hot water – in the same way as feeling the warm sun on our skin. Other ways to relax that emerged from the survey were reading, interacting with pets and exercising. Although we are able to do a lot of these stress-busting activities for free, how much are we spending on our wellness and stress relief on average? It turns out, as a nation, we’re not investing much in our stress reduction financially. 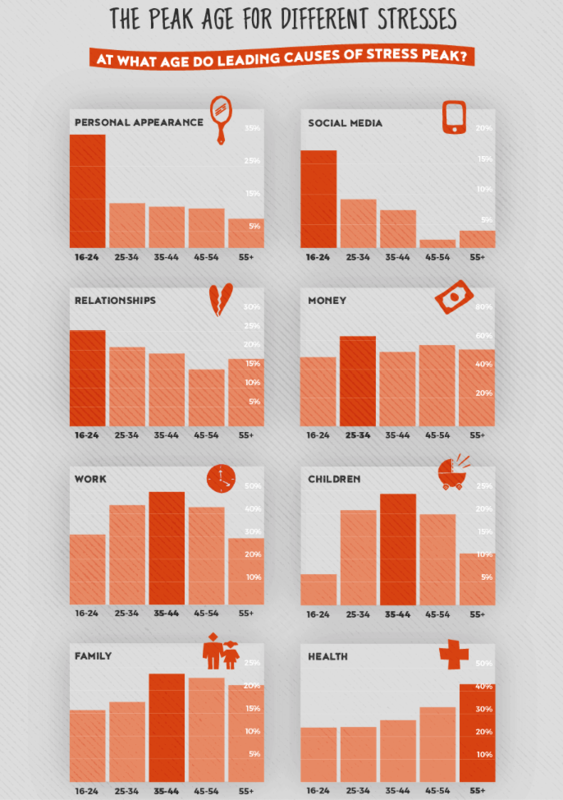 56% of men and 46% of women said they don’t spend any money at all on their mental wellbeing. Next time you feel stressed, whether it be regarding work, children or finances, why not try one of these stress-busting methods? Most importantly, when your world feels overwhelming and your stress levels are high, know that you’re not alone.